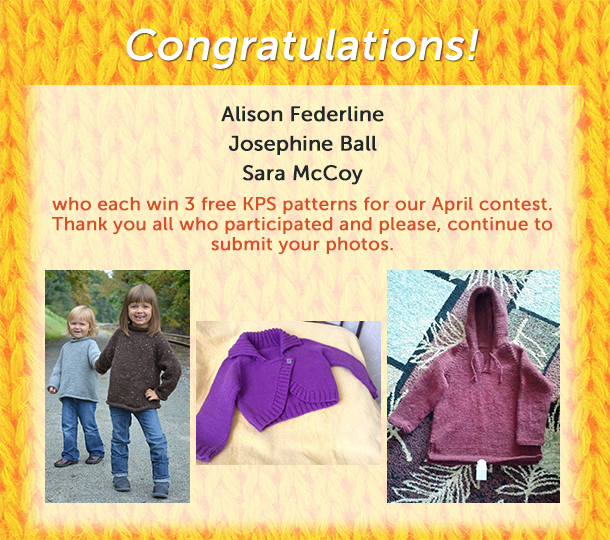 who each win 3 free KPS patterns for our April contest. Thank you all who participated and please, continue to submit your photos on Facebook. (And for those of you who don’t Facebook, please email us your photos to us directly).